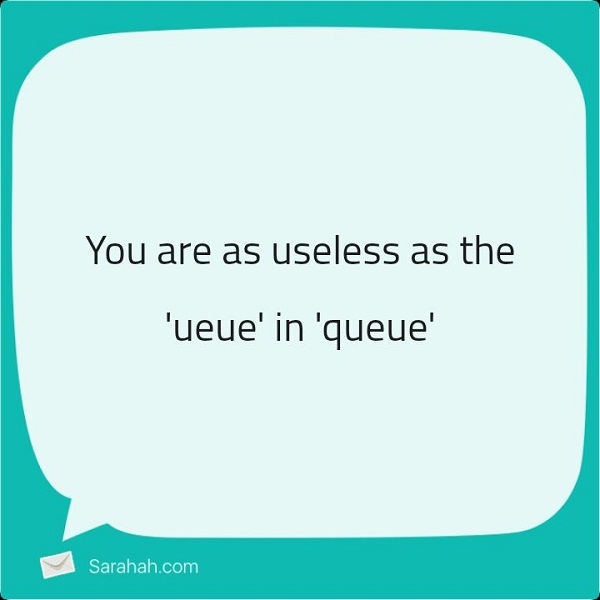 Home Entertainment 8 Most Insulting Messages That People Received On Sarahah! This Is The Limit! 8 Most Insulting Messages That People Received On Sarahah! This Is The Limit! 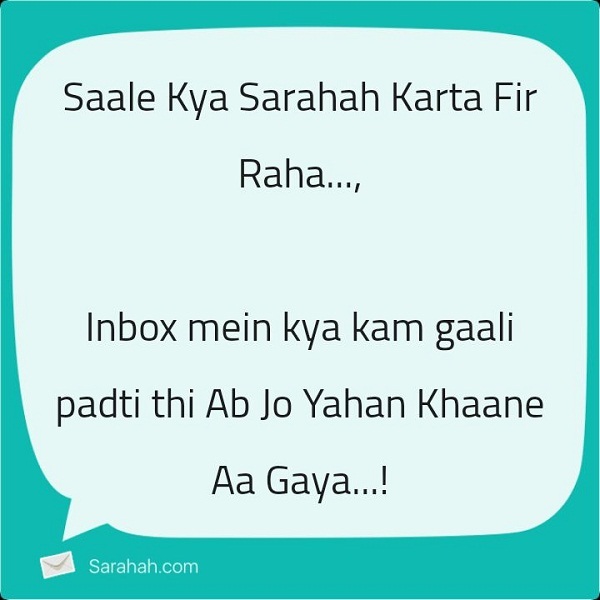 Sarahah app is the next big thing and it is going viral on Internet these days. Some people love the concept of this app while some other hate the concept of this app. 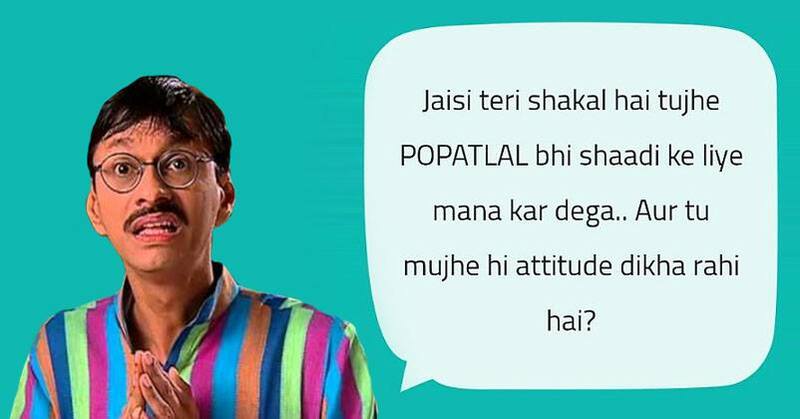 Some people love to listen honest about them and some people irritate to listen about them. From this app one can send messages to anyone who is in this world and the receiver would not get the sender's name or phone number or anything else. The developer of this app is a genius. God knows why people are taking this app as a negative critic but the app is developed for positive purpose. They say a lot of bad things, negativity to other people because their identities are disappeared. 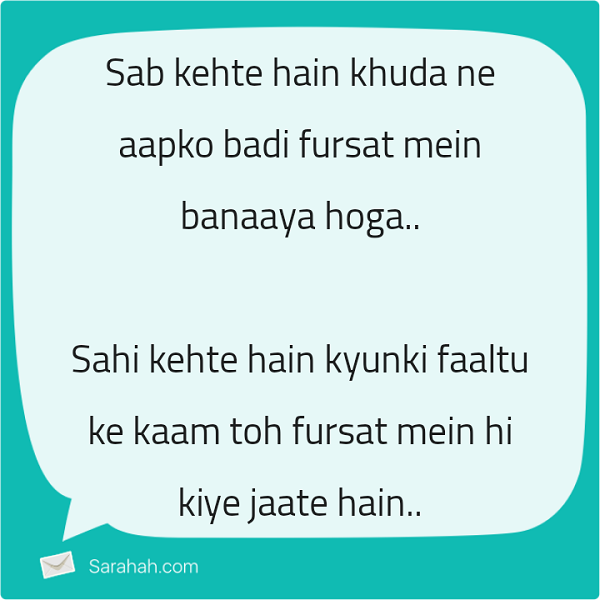 So here are some of the messages that people received on Sarahah and these messages prove that people are taking this app in a wrong way. 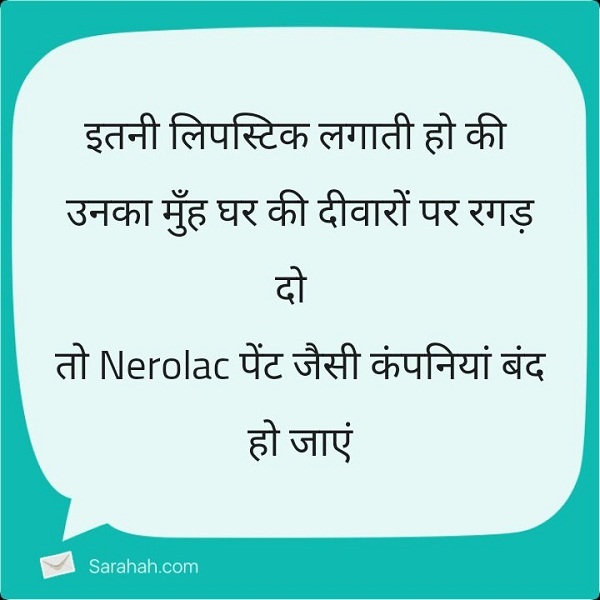 People are spreading negativity from this app and the and this is not the purpose of the app. So I hope that you got what I am trying to say. 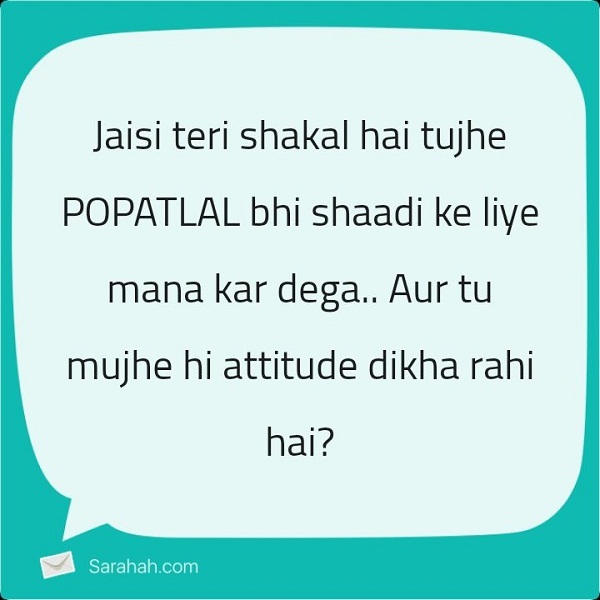 So, be mature and use this app to spread positivity because we all are the sons and daughters of the god. So I hope you enjoyed this post.